Pakistan allrounder Mohammad Hafeez recently marked his comeback to Test cricket with a century against Australia. 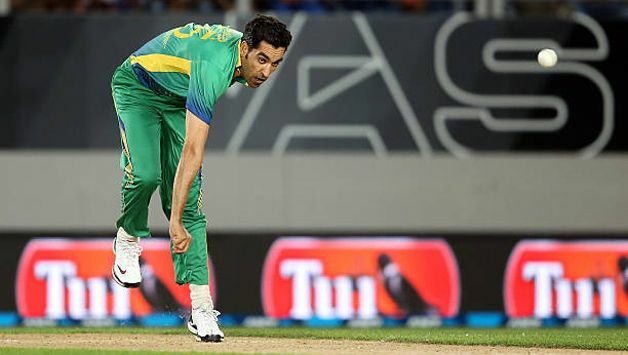 Inspired by Hafeez’s return, fast bowler Umar Gul, who has been slogging it out in Pakistan’s domestic circuit, is aiming to stage a comeback of his own in the national colours. The emergence of new crop of pacers and age-factor might makes it a little difficult for the 34-year-old Gul to reclaim his place. However, on the back of a decent performance in the Quaid-e-Azam Trophy (21 wickets in 6 matches), he’s positive. One of the big reasons behind his mindset is that he feels Pakistan lack experience in pace-bowling department. Gul, who made is Pakistan debut in 2003, packs an experience of 47 Tests, 130 ODIs and 60 T20Is. While he admits breaking into the T20I squad is near impossible as Pakistan have an excellent record in the format, a fact backed by the No. 1 ranking, he does feel they are struggling in ODIs and Tests to an extent. Gul, who last played an international match in September 2016, has taken 163 wickets in Tests, 179 in ODIs and 85 in T20Is. Not only in his abilities, he’s banking on the experience he brings to the table to ‘solve’ Pakistan’s problems. “The national team has been struggling in Test cricket. Only one right-hander Mohammad Abbas has been delivering, while the rests are all left-handed, who failed to shoulder the burden. Pakistan Test team badly need experience and I can easily solve the problems with my experience. I have played all the Quaid-e-Azam Trophy matches and my performances are no secret. I have played alongside Inzamam-ul-Haq, who is now chief selector. Everybody knows me well that I always believe in performing well,” Gul said. While he has been overlooked for the T20I series against New Zealand in the UAE that starts from October 31, a ‘hurt’ Gul is hopeful he will be considered for the three-match Test series starting November 16. “Obviously, it hurts. I am doing my best in domestic cricket and was quite hopeful about my comeback. But anyhow, it depends how the selectors think. 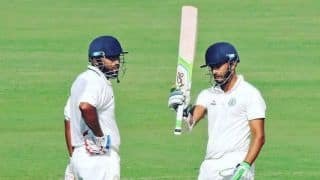 I am sure they are watching my performances in the domestic circuit and I am quite hopeful of making comeback in Test squad against New Zealand,” he said.